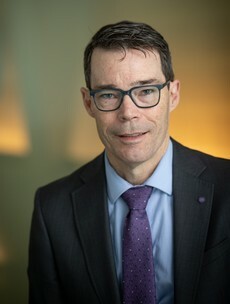 Daniel W. Webster, ScD, MPH is Professor of Health Policy and Management at the Johns Hopkins Bloomberg School of Public Health. Dr. Webster is Director of the Johns Hopkins Center for Gun Policy and Research and Co-Director of the Johns Hopkins Center for the Prevention of Youth Violence. He leads the Johns Hopkins-Baltimore Collaborative for Violence Reduction and holds a joint appointment as Professor in the School of Education's Division of Public Safety Leadership at Johns Hopkins. Dr. Webster is one of the nation’s leading experts on firearm policy and the prevention of gun violence. He is co-editor and contributor to Reducing Gun Violence in America: Informing Policy with Evidence and Analysis (JHU Press, 2013). He has published numerous articles on firearm policy, the prevention of gun violence, intimate partner violence, and youth violence prevention. He has studied the effects of a variety of violence prevention interventions including firearm and alcohol policies, policing strategies, street outreach and conflict mediation, and school-based curricula. Dr. Webster teaches Understanding and Preventing Violence and Graduate Seminar in Injury Research and Policy. Baltimore City Health Equity Leadership Award, 2016. David Rall Award for Science-Based Advocacy, American Public Health Association, 2015. Finalist, Marylander of the Year, The Baltimore Sun, 2013. Delta Omega Honorary Society in Public Health – Alpha Chapter, Johns Hopkins Bloomberg School of Public Health, Faculty induction, 2005. Educator of the Year, Maryland Network Against Domestic Violence, 2004. Below is a selection of 5 recent publications. Webster DW, Wintemute GJ. Effects of policies designed to keep firearms from high-risk individuals. Annual Reviews of Public Health. 2015;36:21-37. PMID: 25581152. Webster DW, Crifasi CK, Vernick JS. Effects of the repeal of Missouri’s handgun purchaser licensing law on homicides. Journal of Urban Health 2014;91:293-302. Erratum: J Urban Health 2014; 91:598-601. Webster DW, Vernick JS, Eds. Reducing Gun Violence in America: Informing Policy with Evidence and Analysis. Baltimore, MD: Johns Hopkins University Press, 2013. Webster DW, Whitehill JM, Vernick JS, Curriero FC. Effects of Baltimore’s Safe Streets Program on gun violence: a replication of Chicago’s CeaseFire program. Journal of Urban Health, 2013; 90:27-40. Rudolph KE, Stuart EA, Vernick JS, Webster DW. Association between Connecticut’s permit-to-purchase handgun law and homicides. American Journal of Public Health, published online ahead of print June 11, 2015: e1–e6. doi:10.2105/AJPH.2015.302703.